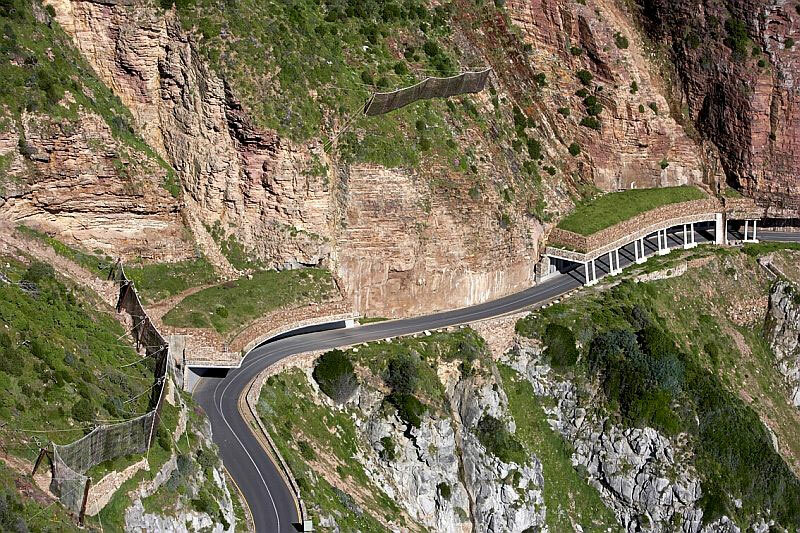 Chapman’s Peak Drive is an exhilarating nine kilometre road cut into the mountainside with sheer cliffs dropping into the sea. The route snakes its way between Hout Bay and Noordhoek along the rocky Atlantic Coast. 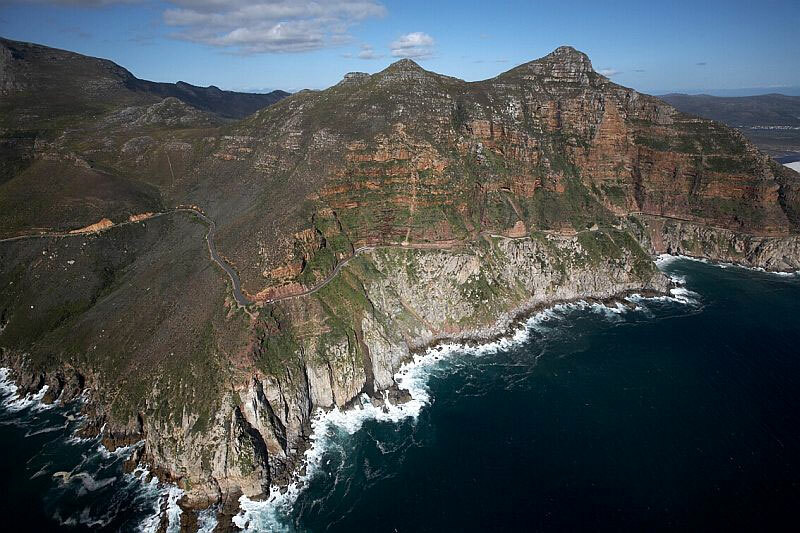 Close to the most south-western tip of South Africa, it is one of the most magnificent ocean drives on the planet. A number of viewpoints and picnic spots allow you to stop and gaze at the breathtaking panoramic seascape and landscape of Hout Bay and the Sentinel. During whale watching season the high points are often excellent spots to watch the Southern Right Whales in the bay. 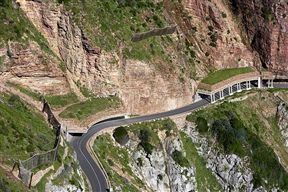 Constructed during the First World War, the route is now operated as a toll-road after extensive safety upgrades were made. It has advanced security equipment, surveillance cameras monitor conditions and it is also patrolled regularly. If the weather is dodgy it is best to phone before making the trip as it could be closed. This is not an easy trip for anyone who suffers from acrophobia! 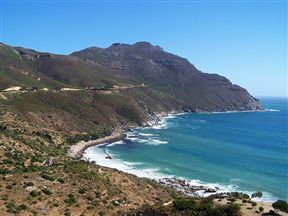 Chapmans Peak Drive is 3.1km from the centre of Hout Bay , the nearest airport 31.2km (Cape Town International Airport).